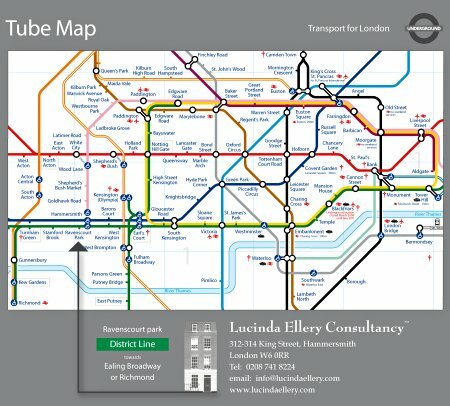 Make your way to your closest Underground Station. 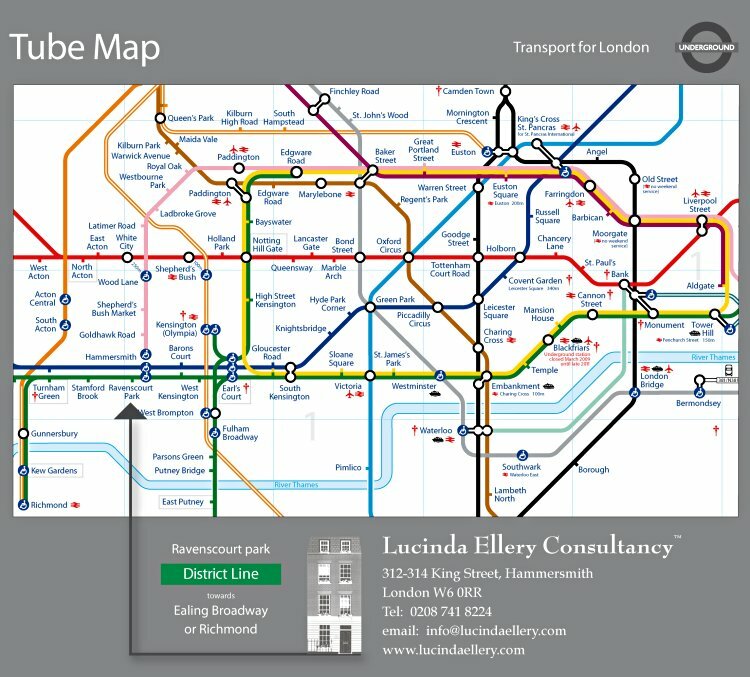 You need to locate the District line, which is the green line, and make your way to a point where you can get on a west bound District line train towards either Ealing Broadway or Richmond. You need to get off at Ravenscourt Park station. You will need to take the right hand exit out of the tube station then turn left and walk towards King Street approx 100 yards. Please turn right and walk down King Street for approx 3 – 4 minutes. We are on the right hand side of the road, opposite Tesco Express which is on the left. (Please note our building is a Victorian town house not a shop) Visitors please use our main entrance of 312 King Street. Refer to the map below or download this map in pdf format (1.4Mb).